Authorities have confirmed that Chinese e-commerce billionaire Liu Qiangdong was arrested for a brief time in Minneapolis over allegations of criminal sexual conduct. The Chinese billionaire is also known as Richard Liu. He is 45 years old. The brief arrest happened on Friday evening and he was released in the afternoon on Saturday. Public Information Officer John Elder said Liu was released pending formal complaint. The Minneapolis Police Department reported the investigation is ongoing and would not give further details at this point. Liu’s company was founded in 1998 and is part of the Fortune Global 500. The company is also China's second-largest e-commerce firm and has emerged as an aggressive competitor of Alibaba. The company became popular for offering a "one-stop" shopping experience to over 300 million active customers in China, boasting of same- and next-day delivery as standard. 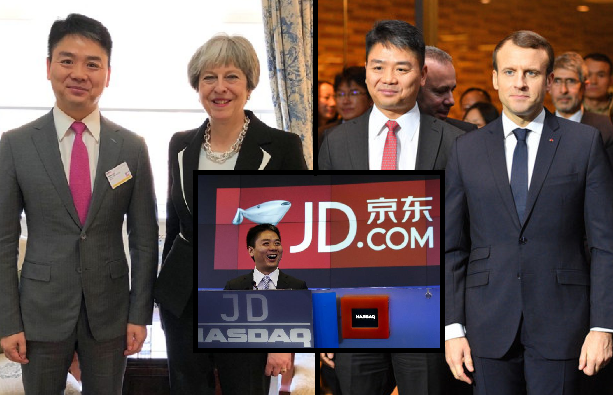 Google also announced in June that it would invest more than half a billion dollars into JD.com as part of a move to expand retail services around the world. The two companies said they are poised to marry JD's supply chain and logistics experience with Google technology to create "next generation" personalized retail in regions including Southeast Asia, the US and Europe. JD.com’s shares trade in the United States have prospered by appealing to the increasing sophistication of Chinese shoppers. Big global brands such as Nike, Prada and Levi’s actively use JD.com’s sales platform to reach the country’s burgeoning middle class. The statement released by Liu’s company also said authorities “found no evidence of misconduct” and released Liu to continue his trip. Said statement contradicted the U.S. police. "Criminal sexual conduct" encompasses a broad spectrum of non-consensual sexual activity in the state of Minnesota. The details of the allegations remain unclear at this point but we may be enlightened as the investigation progresses. This does not mean the Chinese billionaire businessman is off the hook yet. Business industry observers regard the allegation against Liu as another unwelcome bit of publicity for a company that reflects the business potential of China’s rising middle class.